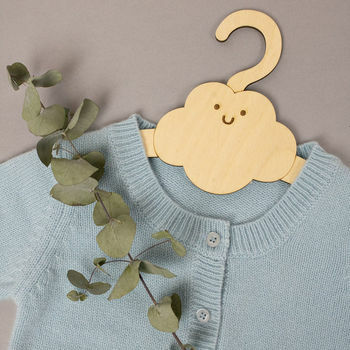 A beautiful, handmade Little Cloud coat hanger. 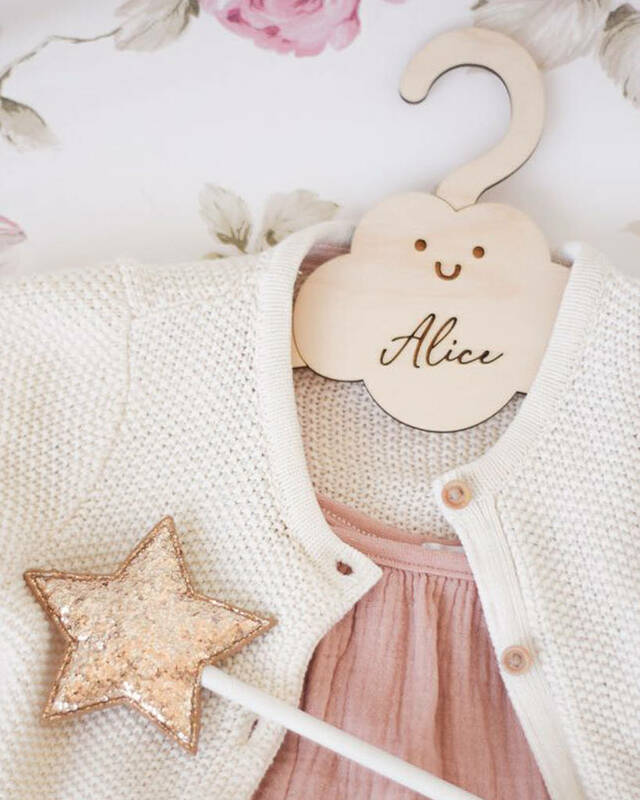 The perfect gift to add some magic to a little wardrobe. 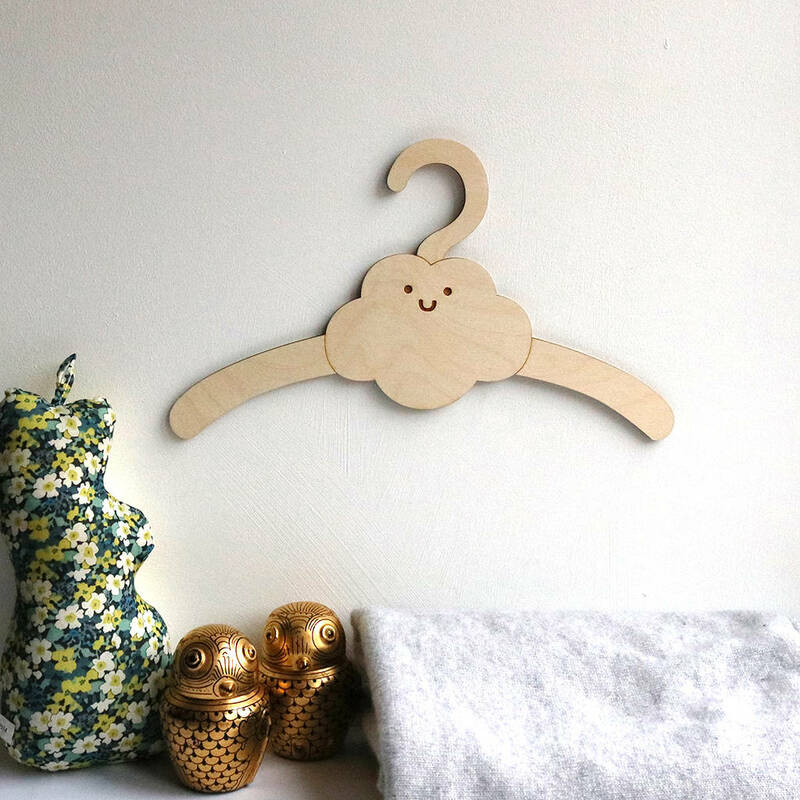 What better way is there to hang up your little one's clothes than on a little fluffy cloud? 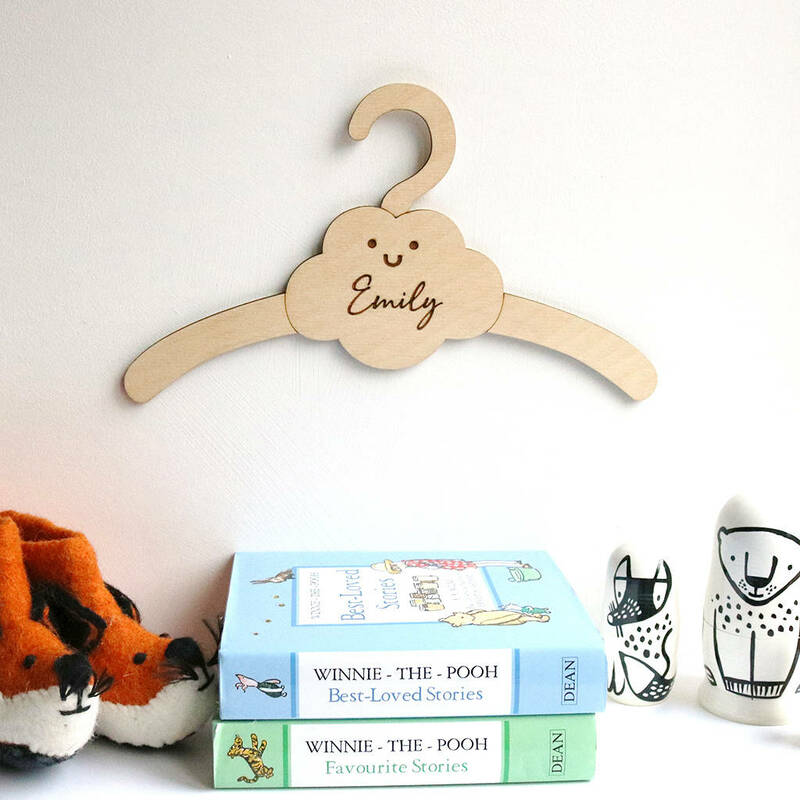 Personalise this hanger with either a name or a date (or both!) 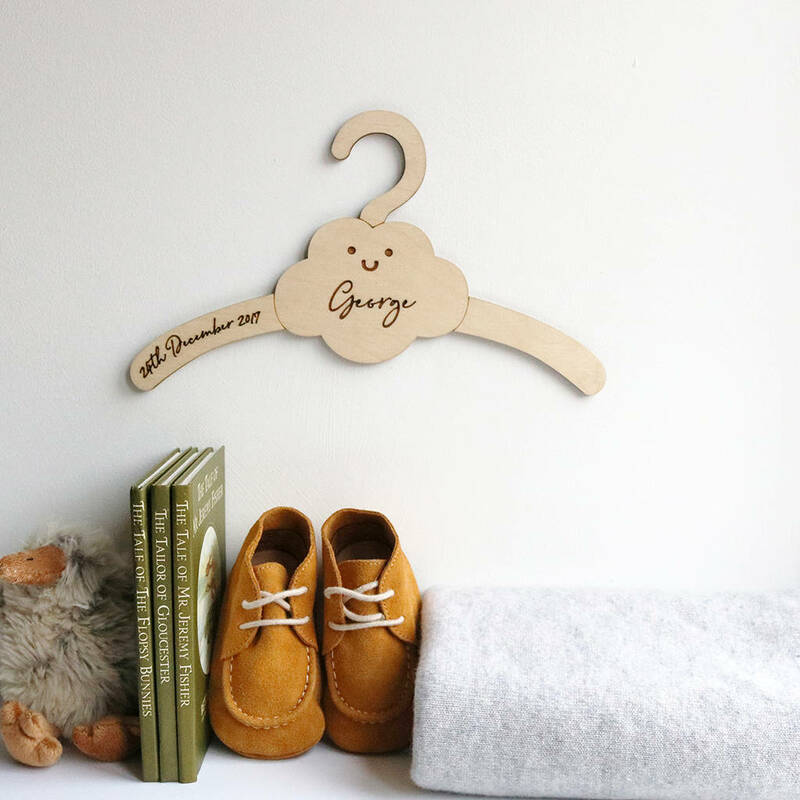 to create the perfect little keepsake. Carefully handcrafted from wood in our Sussex studio, we guarentee you will love our little cloud coat hanger.